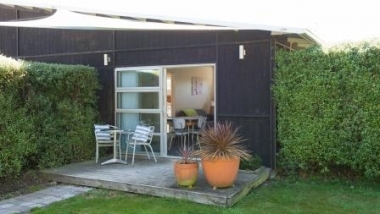 Blackhouse Vineyard B&B, Rangiora RD1, Canterbury. Information, Photos and Reviews. 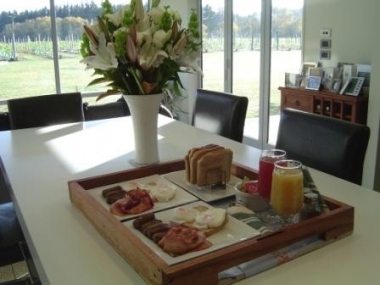 Blackhouse Vineyard b&b is a boutique bed and breakfast situated ten minutes from Rangiora. We are a beautifully appointed and architecturally aspiring guest house, set on ten acres, within a 2.5 acre productive vineyard. Guests experience complete privacy while being able to enjoy handcrafted wine that was grown right at the doorstep. 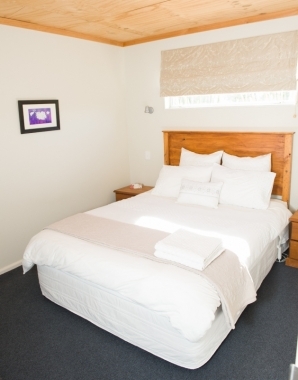 The guest house is completely self contained and set up to allow for self catering if desired. The unit features two bedrooms, one with a queen bed and the second with a single. There is an open plan lounge, dining and kitchen area with couches and dining table to comfortably seat four. The kitchen is equipped with a gas hob for cooking, dishdrawer, fridge & microwave. 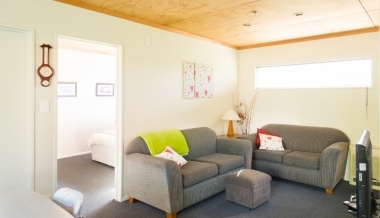 While the bathroom includes a full sized shower, toilet, basin, heated towel rail and heater. Outside there is a private deck and garden, with outdoor seating and a BBQ in Summer. 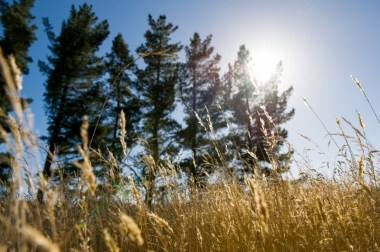 The unit is comfortable year round with a heat pump for heating and air conditioning. 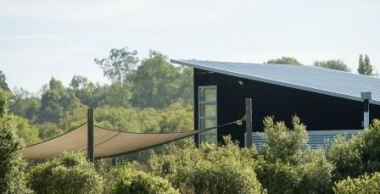 Nobody has reviewed Blackhouse Vineyard B&B yet, Be the first. You are submitting a booking enquiry. Blackhouse Vineyard B&B will then contact you by email with details of availability and prices.